Range: Panama to NE Argentina (northern South America east of Andes) for H. hydrochaeris. © 2008-2018 San Diego Zoo Global. Updated 2015. Size information updated 2017. Population and Conservation updated Nov 2018. How to cite: Capybara (Hydrochoerus spp.) Fact Sheet. c2008-2018. San Diego (CA): San Diego Zoo Global; [accessed YYYY Mmm dd]. 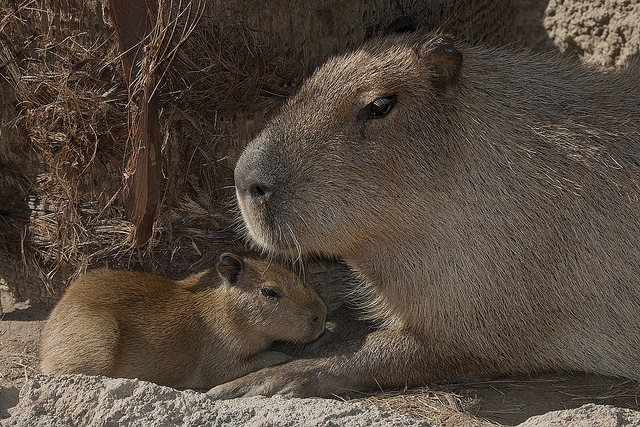 http://ielc.libguides.com/sdzg/factsheets/ capybaras.